The ideal male body shape is considered to be slim and athletic-looking, with broad shoulders and chest, a flat abdomen, and a narrow hip-thigh area. However, as men age, areas of fat tend to accumulate around the abdomen, the flanks (“love handles”), the breast area, and along the chin and neck. 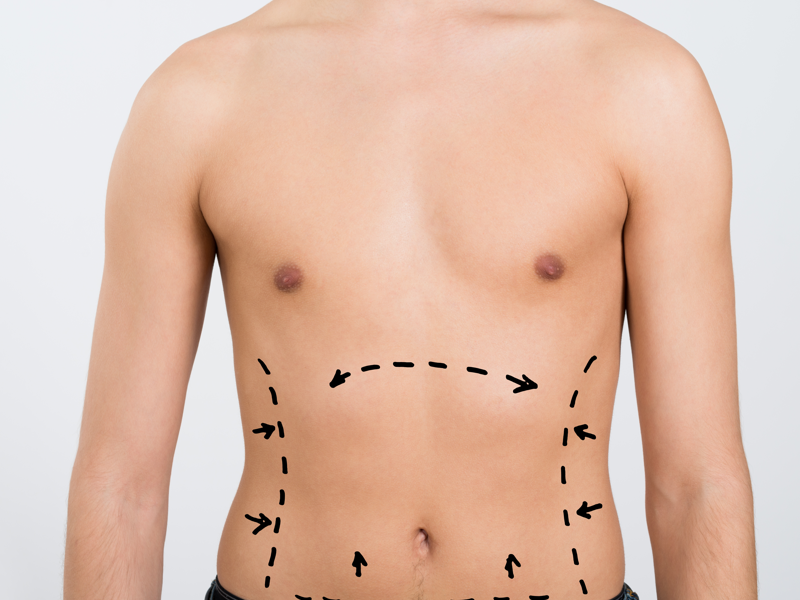 Men sometimes seek liposuction to remove fat from these areas that are resistant to diet and exercise. In many cases, liposuction alone can effectively correct these problems. Men retain their skin elasticity longer than women do, and the areas of fat beneath the skin tend to be firmer and more vascular than those in women. Because of these and other factors, liposuction in men is usually very effective. Men who have some loose, hanging skin as well as areas of excess fat may opt for surgical skin removal in addition to liposuction.